The ride home should be the least of your worries. 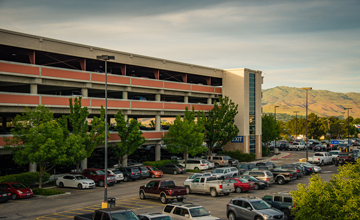 Boise Airport parking rates begin at $9 per day and our lots are a stone's throw from the terminal. Let's scratch getting home off your list. 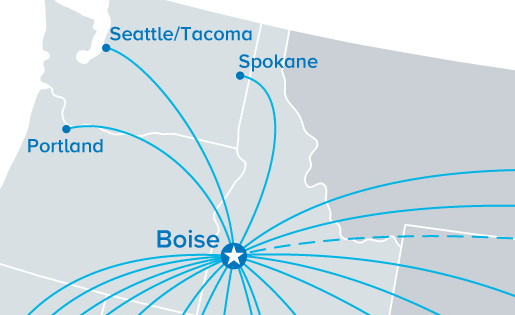 From Boise, getting to where you want to go is as simple as getting to the Boise Airport. Seven airlines, twenty nonstop destinations, countless possibilities. You'll want to sit down for this. Our award winning concessions turn that quick bite into a meal worth savoring. 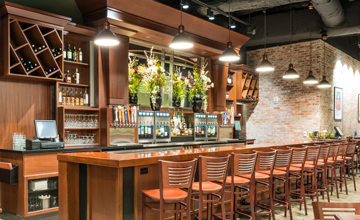 Get a taste of the Treasure Valley's best restaurants and shops at the Boise Airport. The Boise Airport and TSA have teamed up to make it easier for passengers to get enrolled in TSA Pre✓ just in time for summer travel. There will be a week-long event at the Boise Airport where passengers can sign up online, and get enrolled into TSA Pre✓ at the Boise Airport. The Boise Airport has opened the Economy Parking (shuttle) lot. Passengers who park in the airport economy lot can take the free airport shuttle no matter the day or time. This lot only accepts credit/debit cards for payment. Beginning October 1, 2020, you will need to have a license or Identification (ID) card with the Star or another accepted form of identification, such as a passport, to fly commercially within the United States. The Star Card is an Idaho driver’s license or ID that adds a Star to verify compliance with REAL ID security standards.